The Alchemy of Forever caught my attention right away. The stunning cover to the mysterious premise, I couldn't wait to get my hands on it. This is the first book in the Incarnation series and it was everything I hoped it would be. Avery Williams delivered her debut novel with a bang! The Alchemy of Forever didn't lack when it came to heart-pounding suspense, that kicked in almost immediately. I loved how the author introduced Serephina and Cyrus's story. It was a hauntingly beautiful introduction. From the gorgeous setting to the engrossing characters, I read The Alchemy of Forever in one sitting. I couldn't put it down, nor did I want too. It gave the perfect dose of fantasy/paranormal that I love. There wasn't one thing that was overdone. The author crafted a thrilling story that made it nearly impossible to stop. Serephina's character was pure and honest. She was different from the other Incarnates. And when she has the chance to live as Kailey, you can feel how happy she is to have a some what real life. To have a family and fall in love. Avery Williams Alchemy of Forever packed a lot of punch! And that cliffhanger ending just has you begging for more. I can't wait for Book #2 in the series, and for Avery Williams' future work! This book sounds a bit like Juliet Immortal (at least the summary does). 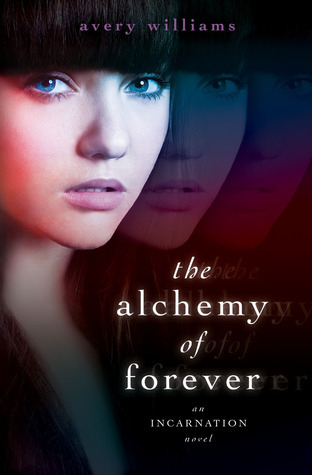 I loved that book and The Alchemy of Forever sounds just as amazing. You've made me really excited to get my hands on this book now! P.S. thanks for sharing the book trailer too! Great review! I have been hearing such great things about this book. I have to pick it up soon. It sounds like something I will really enjoy! Marvelous review! I loved this book too. It was so suspenseful and exciting.